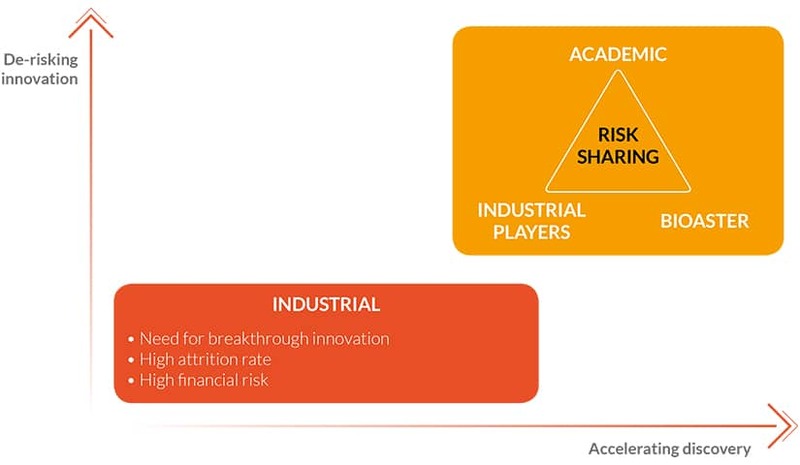 BIOASTER is designed to promote and reduce the risks involved with innovation. To carry out its technological research programs, BIOASTER is implementing a new model based on collaborative innovation. It is no longer focusing on fostering “outside” collaboration between academics, industrialists and start-ups, but rather on offering them a high-quality location to collectively explore and develop creative solutions by exchanging questions, ideas, disciplines and talents. More than just an agile organisation, BIOASTER offers multiple services and solutions to bring collaborative innovative projects to life.